Barley seed varieties to consider in western Canada for Spring 2019. Every year it is challenging to figure out what to seed. There are so many things to consider: commodity prices and contract availability, land rotations (particularly important for us as seed growers), chemical carryover and chemical rotations, moisture levels, etc. In this blog, we look at Barley options for 2019. For our farm, we try to consider a variety of factors including crop rotation for weed management & soil health, what seed varieties will be in demand in the future, and financial analysis. For the financial analysis, we start with putting together our net return by acre by crop for dryland and irrigation. This includes a most likely scenario along with a risk analysis of best possible returns and worst possible returns. This gives us a relative idea of risk/return by crop. This year when we looked at our crop by crop comparison, there isn't one clear crop winner that pencils out significantly better than the rest especially when we consider that we will be seeding into very dry soils with depressed commodity prices. Barley is looking better relative to some other options this year for a few reasons. Feed barley prices have been up - in fact you can contract new crop feed barley picked up farm southern Alberta in Nov/Dec for around $4.40/bushel. We are working on determining new crop malt barley prices but expect that with the higher feed barley prices that malt prices will have to step up too. Barley yields well, particularly under irrigation, and with the improved pricing in 2019, barley is worth considering whether that is for malt or feed grain or silage/green feed. CDC Bow Barley - CDC Bow is a new dual purpose feed/malt barley. New malt barley varieties take some time to gain acceptance from the maltsters but Bow has a bright future even as a feed barley! It yields similarly to CDC Austenson on irrigation but stands better with it's short strong straw. So you have a chance to sell it as malt or you can use it as a feed barley if it doesn't meet the maltster's criteria. It's a win/win variety. CDC Austenson Barley - Austenson has been our go-to 2 row feed barley choice for the last number of years. It performs well on dryland and irrigation, has nice plump seeds and a heavy bushel weight, and it is a top silage yielder. CDC Maverick Barley - Maverick barley is considered a dryland forage barley. It has tremendous plant matter and performs well with low inputs. It is a good choice for swath grazing because it has a smooth awn. However, keep in mind that while it has big plump kernels and a heavy grain bushel weight, Maverick will not provide the grain yield that you would get with Austenson or Bow. Also, it doesn't have the straw strength to stand up well in an irrigation situation. 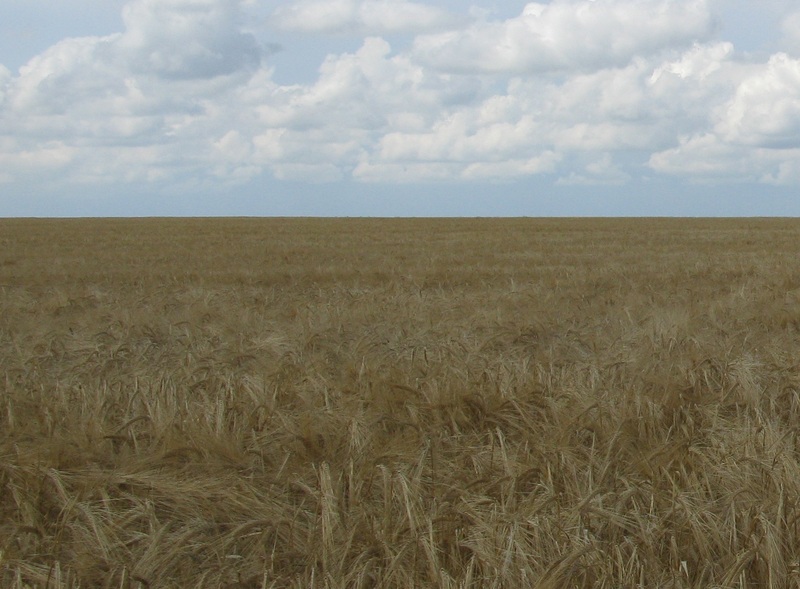 CDC Copeland Barley - Copeland barley has grown to overtake Metcalfe in malt acceptance recently and was the top dryland barley produced in Alberta in 2017 according to the Alberta Yield magazine. Copeland outyields Metcalfe and provides likely the best chance of malt acceptance for our customers. It also has a better disease package than Metcalfe and better straw strength. AC Metcalfe Barley - Metcalfe has been long revered as a malt barley and continues to be broadly accepted by maltsters. However, there are better choices for yield out there so unless you believe that you are more likely to get a malt contract for Metcalfe than Copeland, I would lean towards Copeland for a malt variety. CDC Meredith Barley - Meredith started life as a 2 row malt barley but never really gained acceptance with the maltsters. It has been a fabulous feed barley for us on dryland with it's large plump kernels, big heads and good yields. So consider Meredith if you are looking for a dryland feed barley, as it should yield as well or better than Austenson. We advise against seeding Meredith on irrigation as it does not have the straw strength to stand up to lodging under irrigation conditions. Muskwa Barley - 6 row barleys have a place on some farms and Muskwa is a variety that has a smooth awn and stands well on irrigation. It is a nice yielding variety and has done well in southern Alberta yield trials and has done well on our farm as well. We understand that there are issues with germination on some of the central and northern Alberta and Saskatchewan barley (and oat) crop that was harvested in 2018. This could lead to some reductions in seed availability this spring so we are advising our customers to book early to ensure you have your seed lined up for Spring.